The government today allowed the Reserve Bank of India to issue a 200 rupees note. This will help in reducing the pressure from small currency notes. Earlier, 200 Rupees note image was circulated online. 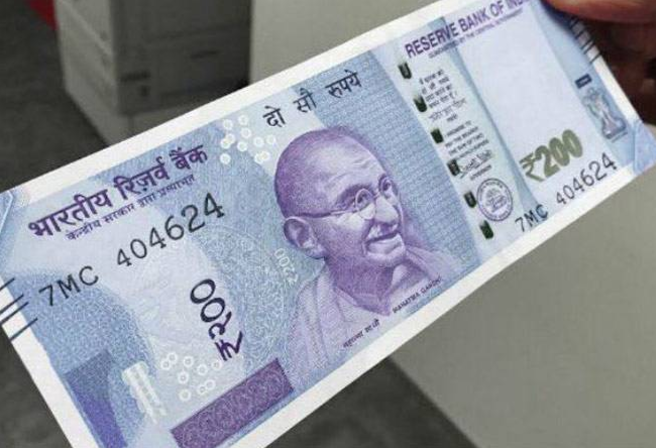 The Finance Ministry said in a notification that in view of the recommendations of the Central Board of Directors of the Reserve Bank, the central government allows issuing bank 200 rs note. The note of the new 200 Rupees is expected in September. Sources said that the start of the 200 Rupees Note printing process will help in improving the currency situation in the country. After the ban was announced in November last year, the central bank had issued a new note of Rs 500 and a note of Rs 2,000 was issued. It is believed that after getting a note of 200 rupees, people who are facing problems due to the high value of Rs 2,000 will be able to reduce them. Apart from this, the Reserve Bank has also introduced a new fluorescent blue note of 50.